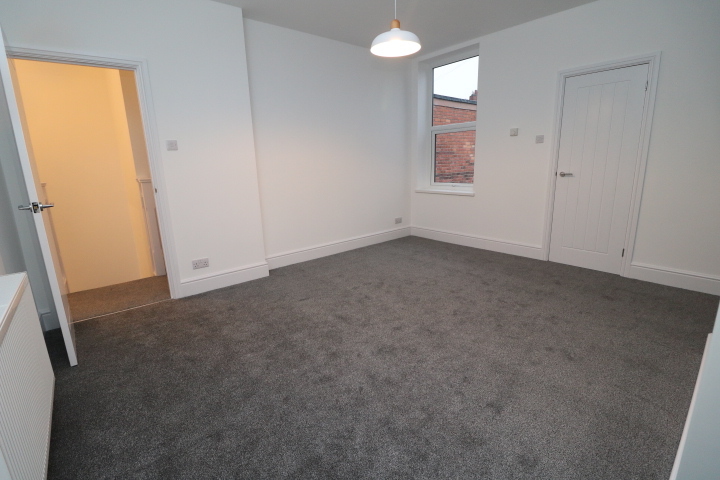 LET Belle Vue are pleased to present this fully refurbished, modern first floor flat with excellent local amenities and transport links including a close by Metro Station. 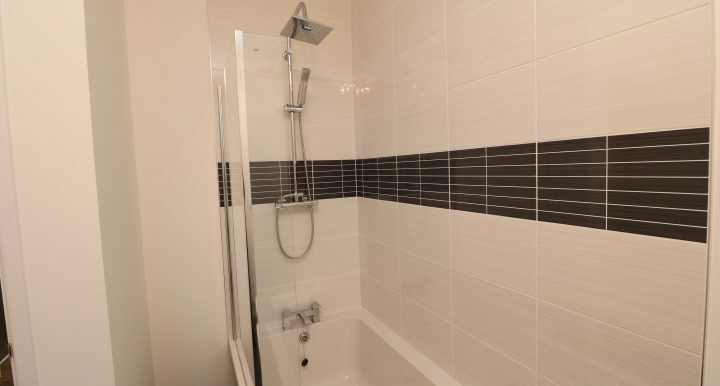 This flat has been renovated to the highest standard, with luxury carpeting throughout, designer kitchen and bathroom and upscale fixtures and fittings. 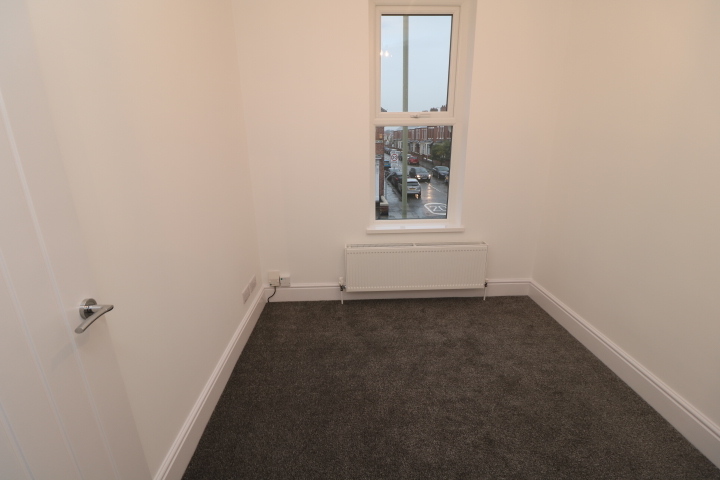 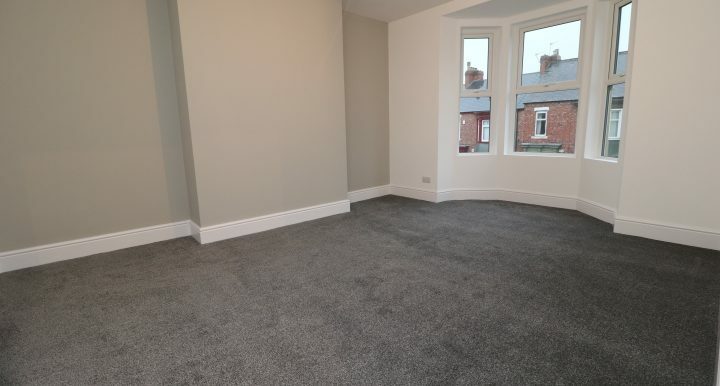 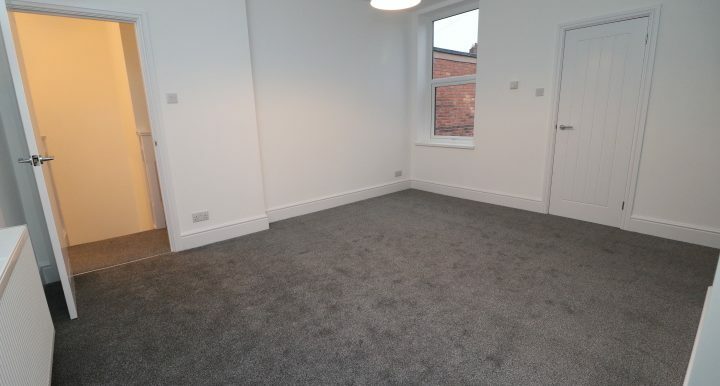 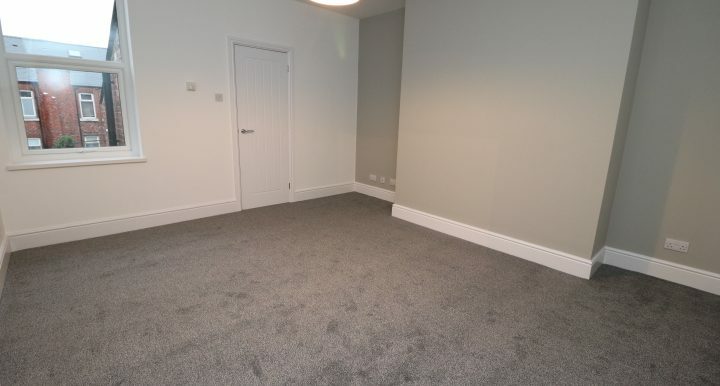 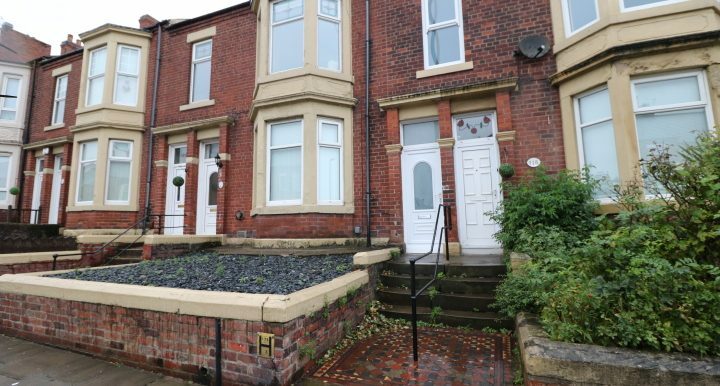 It also benefits from brand new electrics, plumbing, UPVC Double Glazing throughout as well as a complete new roof, making it an ideal property to move straight into, or an attractive, low maintenance rental property for potential landlords. 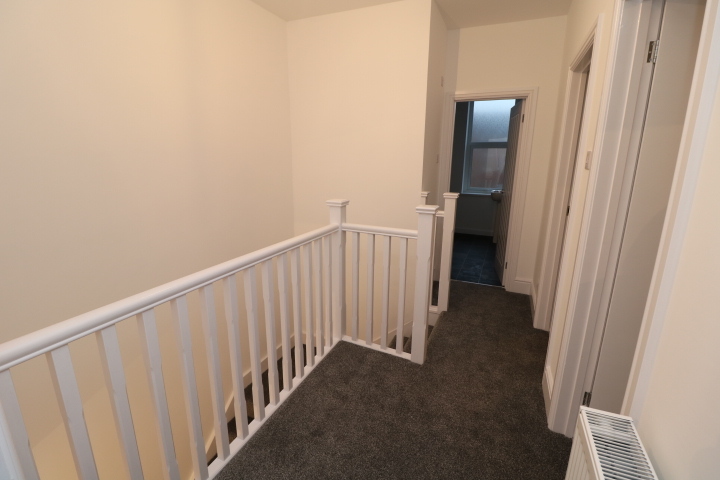 Freshly carpeted, neutral and bright staircase leads onto the first floor landing. 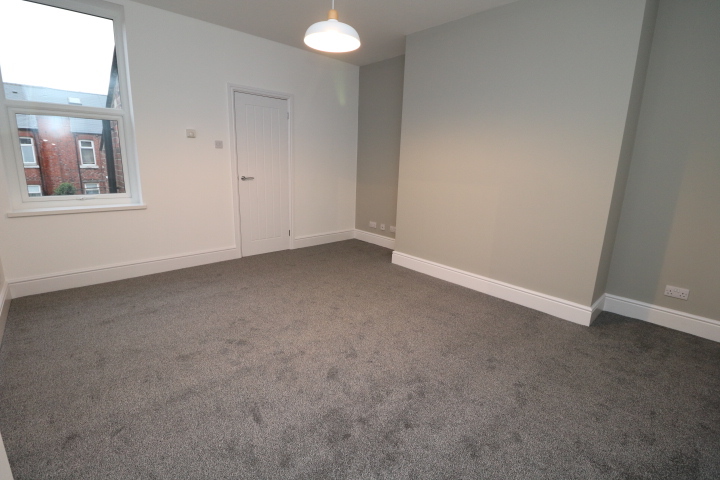 A large, modern space, neutrally decorated and carpeted to a very high standard, the lounge leads on to the kitchen. 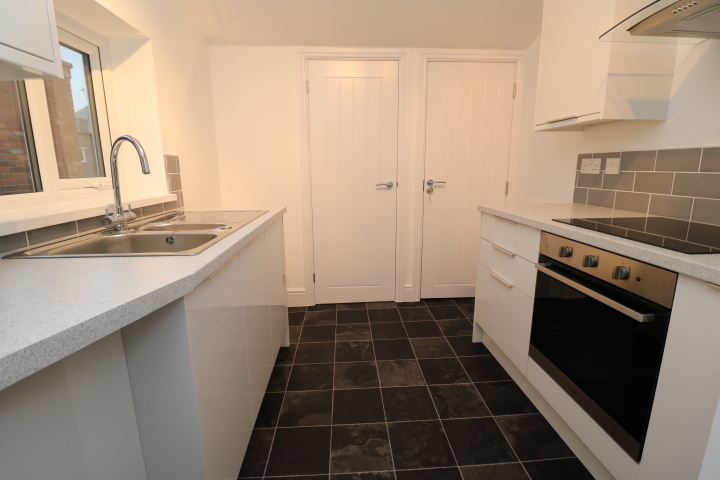 Immaculately presented and well equipped kitchen with high end units and integrated appliances, including an oven, hob, extractor fan and sink. 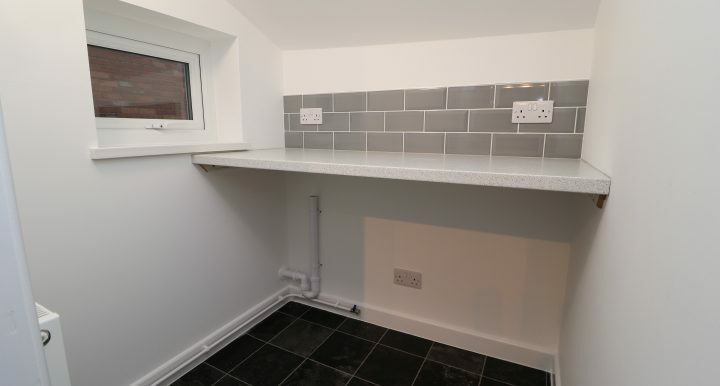 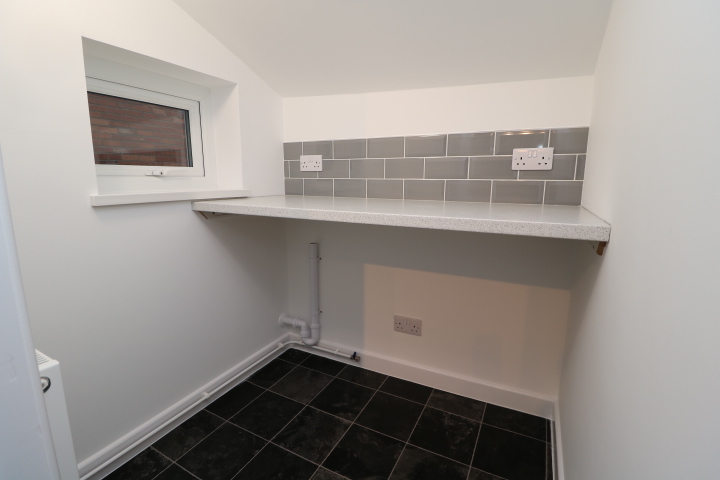 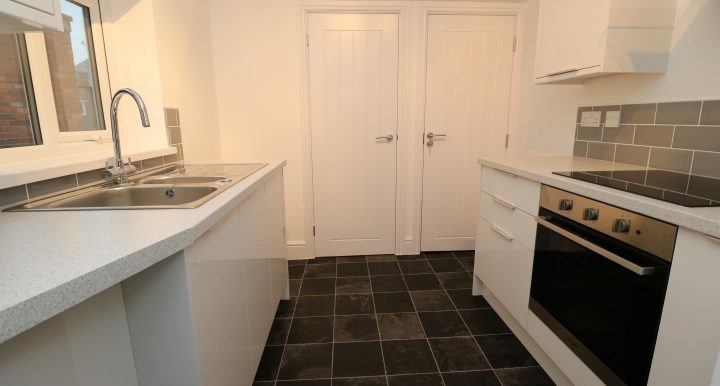 The flat benefits from a separate, well presented utility room with plumbing for a washing machine and tumble dryer. 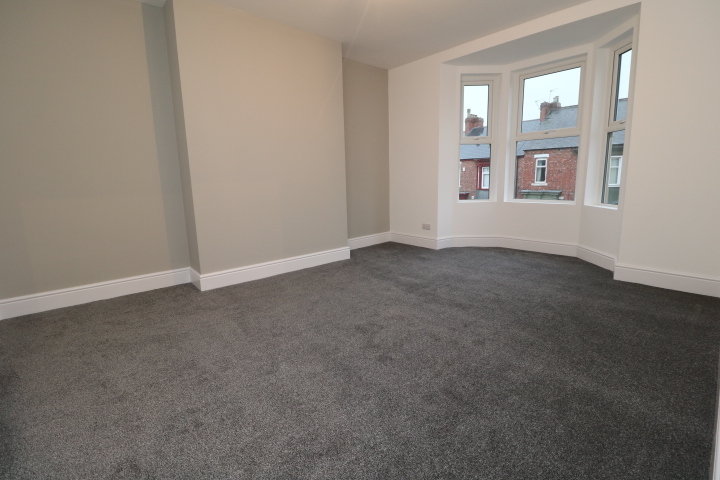 A very large, bright master bedroom with newly double glazed bay window over-looking the front aspect, it is tastefully decorated and carpeted to a high standard. 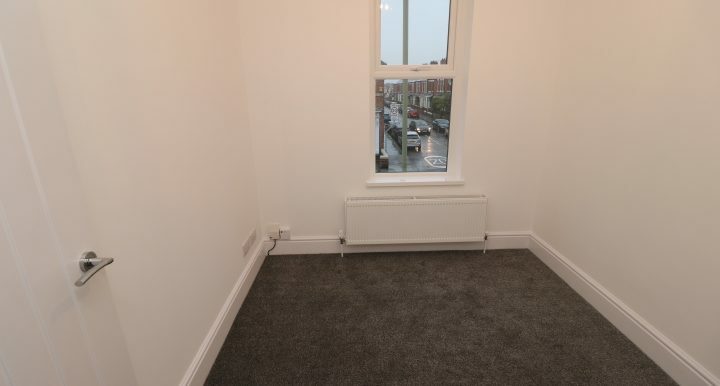 A good sized single second bedroom, benefiting from a large double glazed window and radiator, the room is neutrally decorated in the same style as the rest of the property. 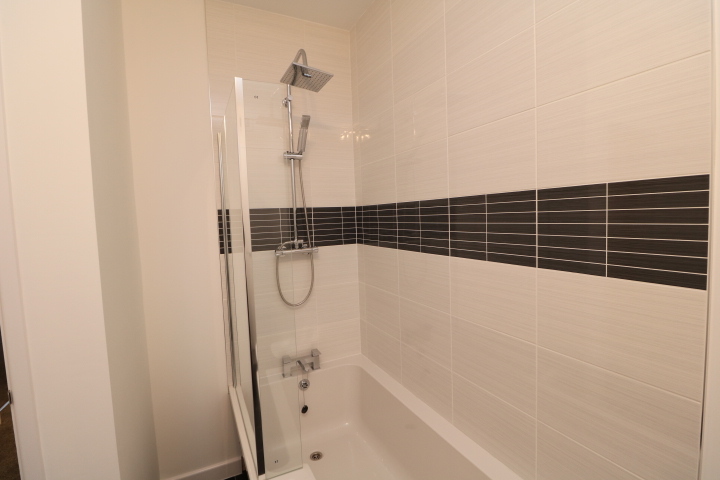 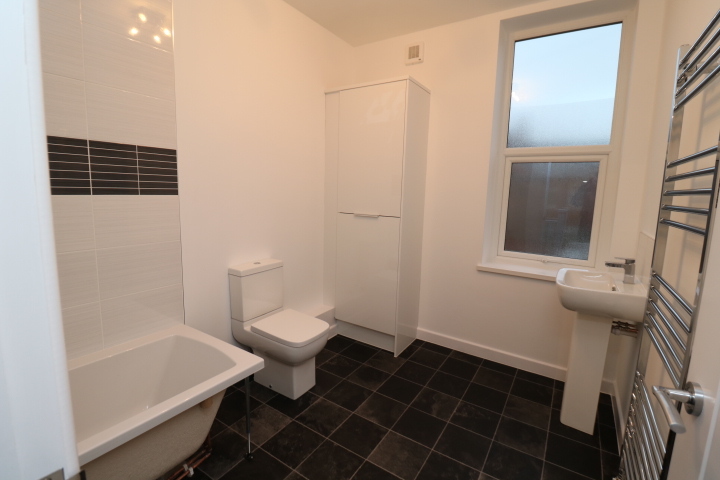 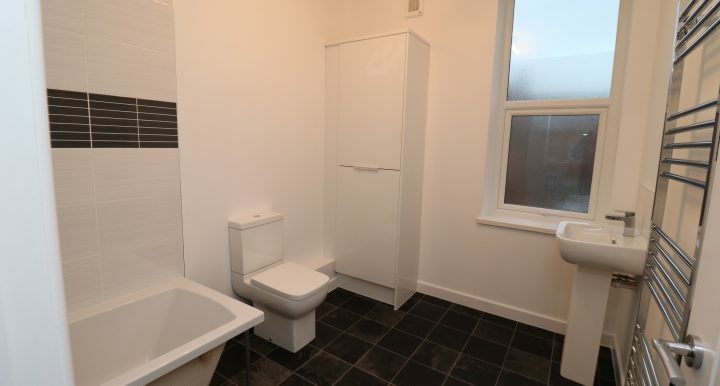 A very spacious, luxury bathroom, with modern tiling, designer suite and large window. 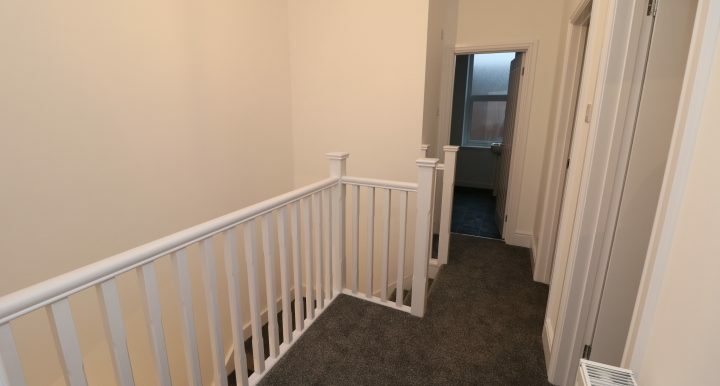 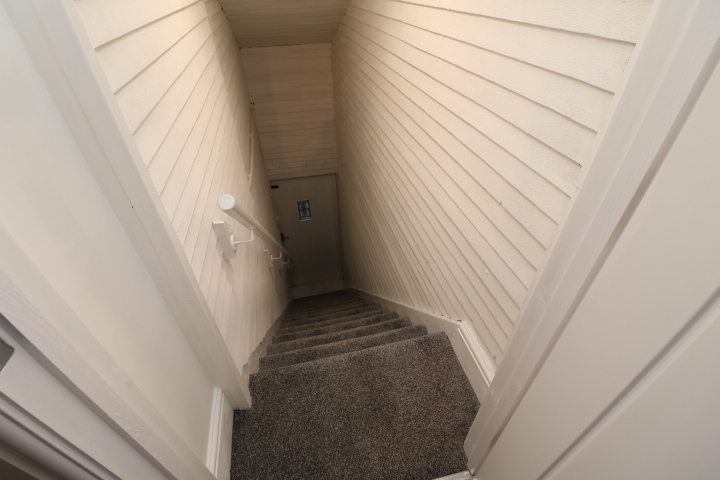 The property has a handy second staircase to give direct access to the rear yard. 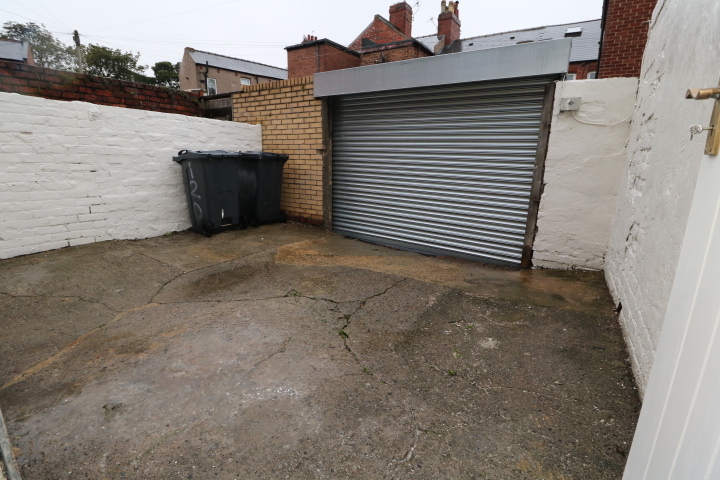 The yard to the rear of the property offers parking for one vehicle, secured with a remote controlled roller shutter and accessed via a recently resurfaced rear service road. 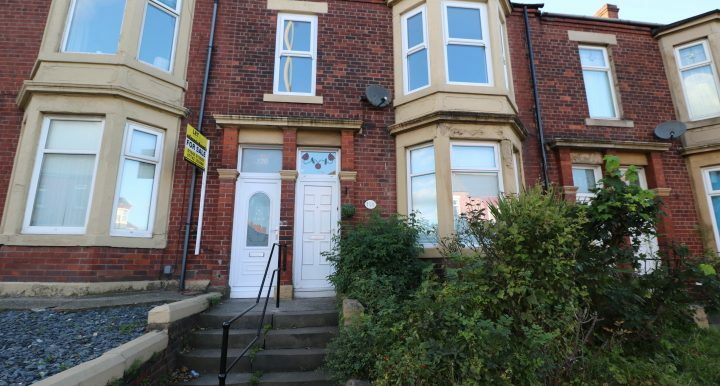 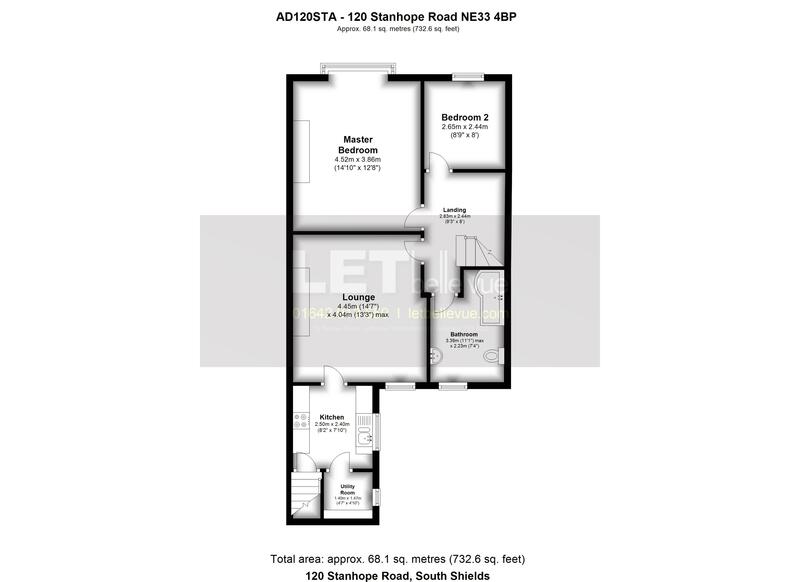 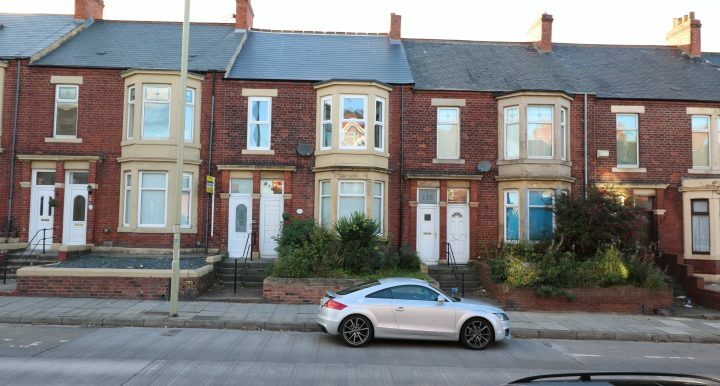 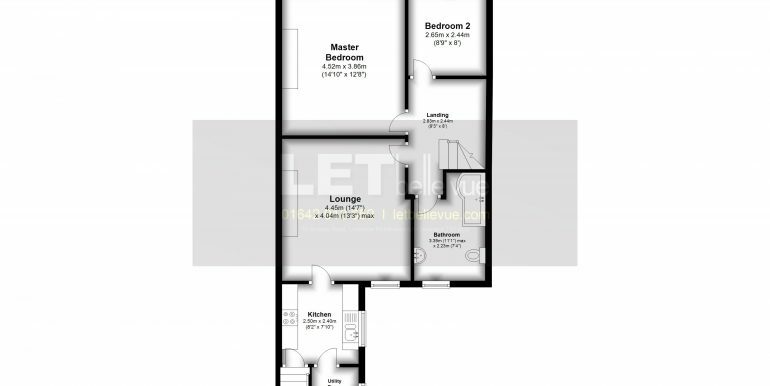 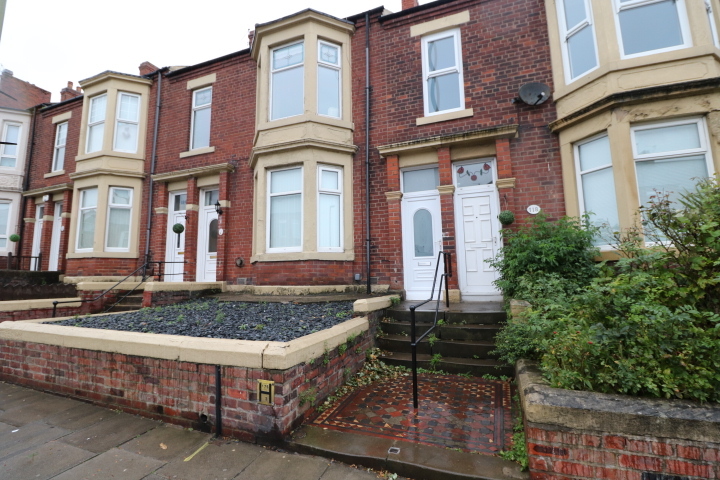 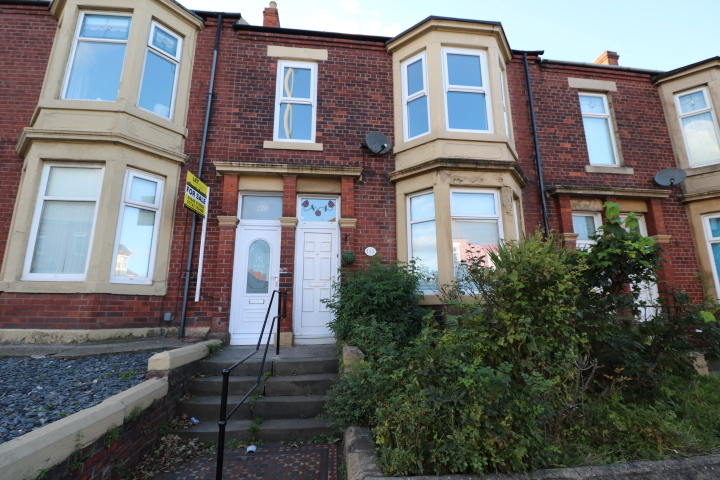 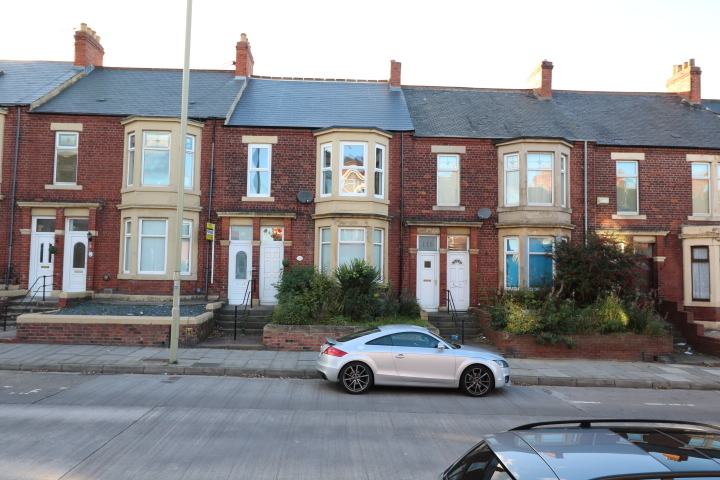 This first floor flat is offered for sale as a Leasehold. 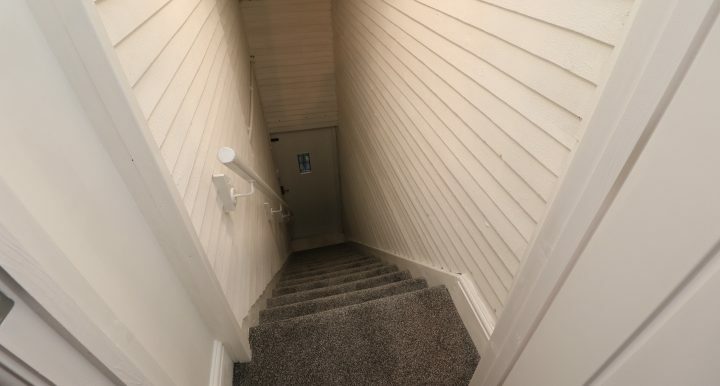 This was renewed to a new 999 year lease back in 1982. 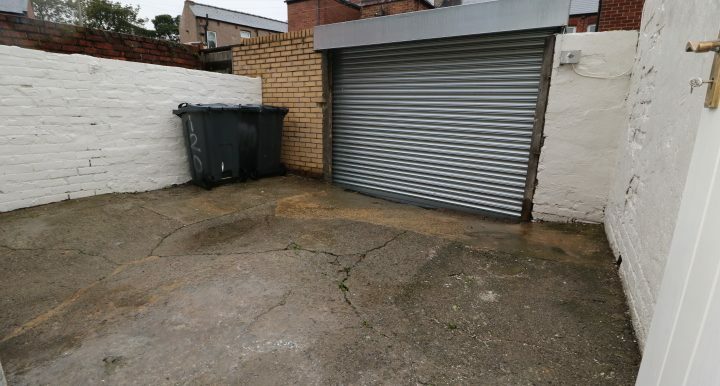 Viewing is highly recommended and by appointment only through LET Belle Vue.